This study examined predictors of a measure of resilience in a sample of young people comprised of a study group (n = 593) facing significant challenges and a comparison group (n = 778) who were progressing more normatively. The study modelled the demographic, relationship, mental health and behavioural predictors of resilience within each group, and compared these models across groups. Results suggested that resilience was predicted by four factors: gender; conduct problems; depression; and parental monitoring. 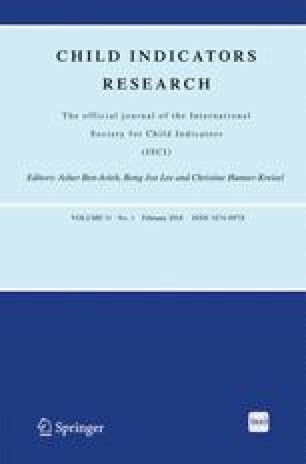 Although the study group faced significantly (p < .0001) greater levels of adversity than the comparison group, the fitted models for each group were broadly similar, suggesting that the processes and pathways leading to resilience were the same for the study group as for the comparison group, and as such, that general models of development can be applied to vulnerable youth. The authors acknowledge that the funding body played no role in the design or analysis of the study, preparation of the manuscript, or in the decision to publish the results. Boden, J.M., Sanders, J., Munford, R., Liebenberg, L., McLeod, G.F.H. (2015). Paths to positive development: a model of outcomes in the New Zealand Youth Transitions Study. Child Indicators Research. doi: 10.1007/s12187-015-9341-3. Sanders, J., Munford, R., Thimasarn-Anwar, T., Liebenberg, L., Ungar, M. (2015). The role of positive youth development practices in building resilience and enhancing resilience for at-risk youth. Child Abuse and Neglect. doi: 10.1016/j.chiabu.2015.02.006. Williams, B., Ryan, J., Davis-Kean, P., McLoyd, V., Shulenberg, J. (2014). The discontinuity of offending among African-American youth in the juvenile justice system. Youth and Society. doi: 10.1177/0044118X14551322.